When playing music or watching video on the computer, you may experience distortion of sound or characteristic crackling. The causes of this phenomenon can be both software and hardware. 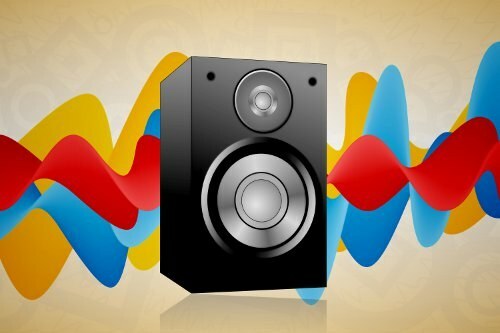 The cause of the distortion sound might be speakers through which you listen to music. Inspect the cable by which speakers are connected to the computer, check cable for interruptions, that is the connector the wire is connected cable. Just in case, disconnect the wires and plug it in again. If the speakers are included into the Usb port, check the sound by connecting the unit to another similar port. Re-read the documentation that came with your speakers to check their proper connection. If there is no documentation, open the manufacturer's website and find the user manual. Also the distortion sound on the computer may be caused by mechanical damage to the speakers. To make sure the problem is in the physical state of the playback device, try connecting to the computer other sound equipment such as headphones or other speakers, and listen to the sound. If distortion is present, then your speakers require repair. If the distortion remains, the problem is either with the sound card or the software. It pays to check the settings, sound, click, right-click on the speaker icon in the system tray of your desktop. View, shouldn't the checkbox "Disable sound".While playing sound on your computer, it may be distorted due to an improperly installed sound card drivers. Install a more recent driver to remove this problem. For most sound cards suitable software Realteck. To download this driver, go to the website realtek.com/downloads please select your operating system version and download the desired program. Then install them to your computer. Restart the system and check the playback sound.On older sound cards can be shutdown sound after the computer resumes from sleep mode. In this case, restart the system and check the sound.